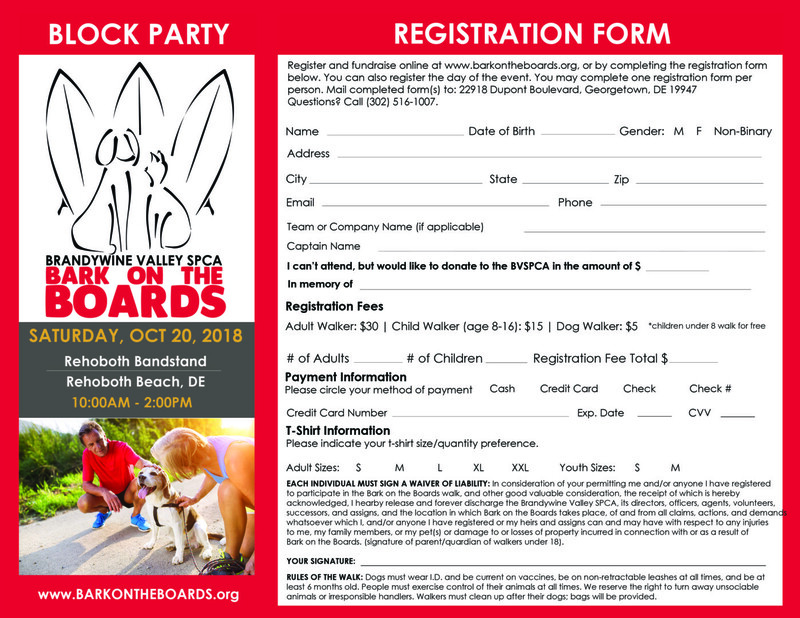 Bring the whole family to our Bark on the Boards block party on Saturday, October 20th, in Rehoboth. The party includes a Dock Dogs® diving competition, yoga with puppies, a pet psychic, a pet costume contest, live music, games and inflatables for the kids, a 1K walk, vendors, adoptables and more. Register today for a great time for a great cause!